We Aesteiron Steels Pvt Ltd are one of the leading manufacturers, suppliers and exporters of Plates. Aesteiron Steel is 316L SS Plate Manufacturers & Suppliers. 316L SS Plate is the low carbon version of 316 & is immune from sensitisation. It is extensively used in heavy gauge welded components. Aesteiron is Hardox Plates Manufacturers & Suppliers. 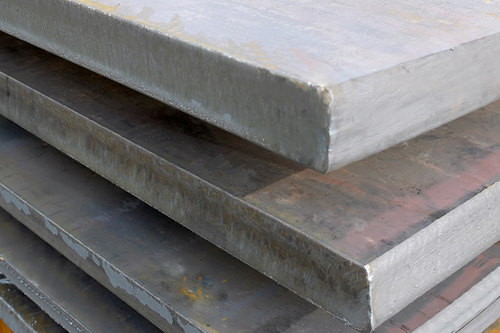 Hardox Plates is a wear resistant steel sheet. It is characterised by its uniform eveness, high hardness & high strength. It does'nt lose its impact resistance even ar low temperatures. As Hardox Plates has very good welding & machining properties. Hardox is a quenched and tempered steel. 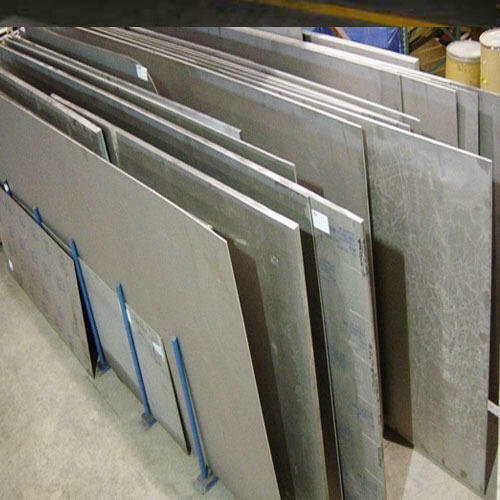 Hardening (quenching) and tempering sheets and plates produces the outstanding properties, which can be lost if worked incorrectly. Therefore precautions and protective measures must be taken when bending, welding, cutting and grinding. 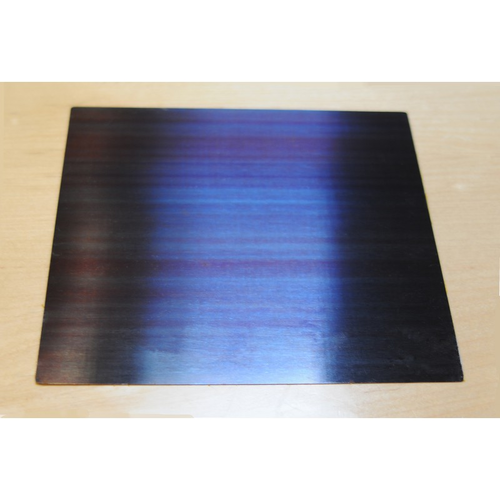 High Manganese Steel Plate offers excellent work hardening properties. High Manganese Steel become increasingly hard when the surfaces of components are subject to repeated impact or abrasion. Its toughness, derived from high tensile strength & ductility, enables shock leads to be absorbed safely. 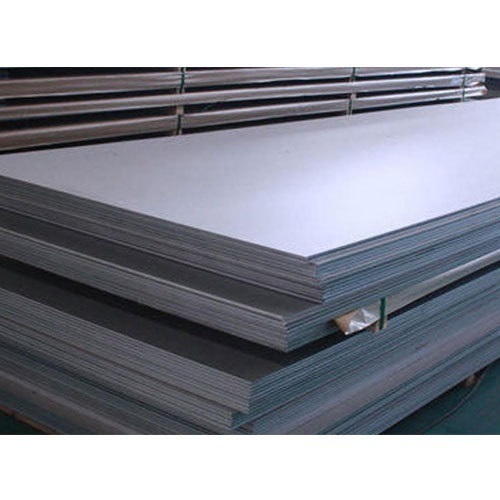 Aesteiron is High Nickel Alloys Steel Plate Manufacturers & Suppliers. It is used extensively because of their corrosion resistance, high temperature strength and their special magnetic and thermal expansion properties. 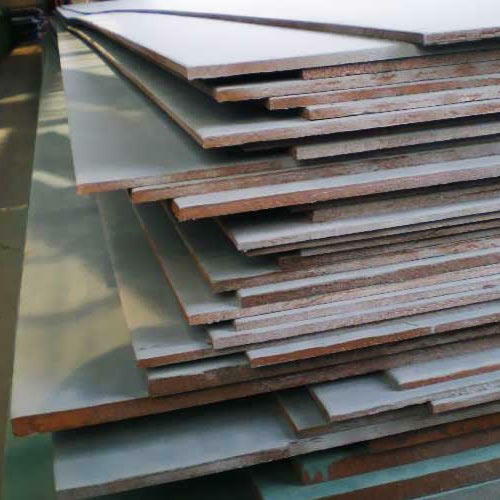 Aesteiron is Quenched Steel Plate Manufacturers & Suppliers. 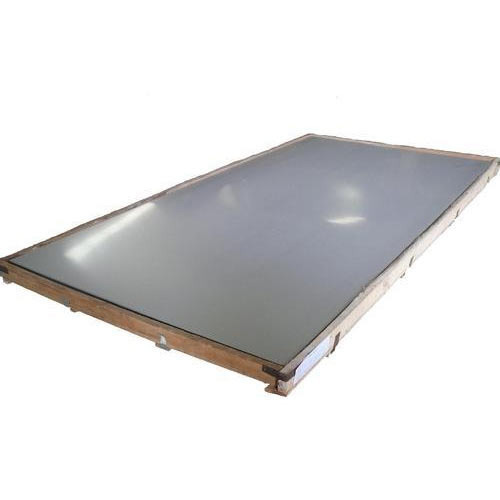 Quenched and tempered plate, a steel that is stronger and harder than ordinary carbon steel. The product is used for the manufacture and repair of machinery and structures where greater abrasion resistance or higher yield strength are required. 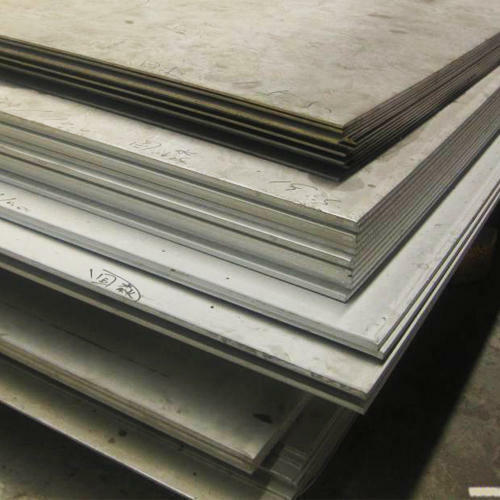 It is not uncommon in our industry to find the same type of steel plate given different names by different engineers. 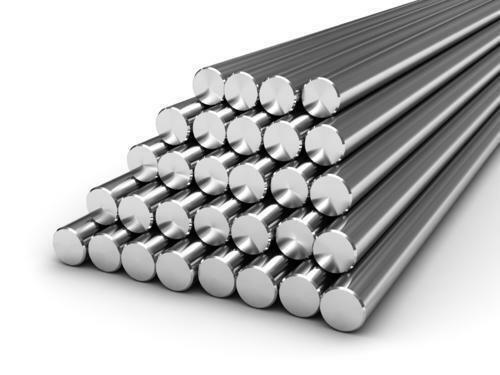 Aesteiron Steels is Stainless Steel 316 Circle Exporters. These are procured from trustworthy vendors, who utilize authentic raw material and sophisticated machines. Our workers coordinate on every consignment with complete dedication to meet the needs of numerous application areas. Heavy machinery industries, Heat Exchangers, Food processing equipment, Chemical Industries etc. 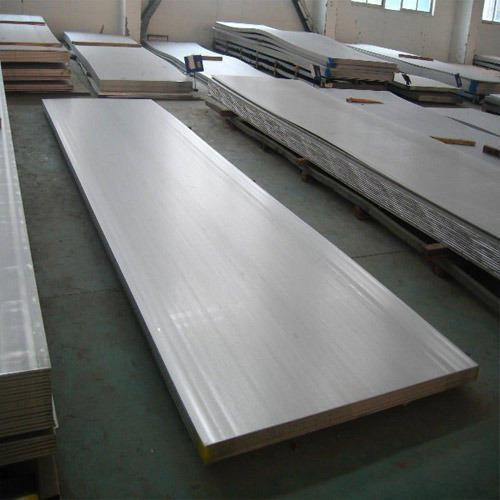 Aesteiron Steels is involved in supplying stainless steel 304 sheets, stainless steel 304L plates. 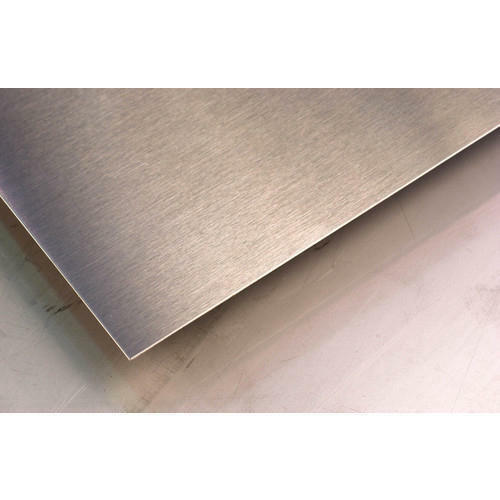 We offer various grades of stainless steel sheets such as SS 310 plate, SS 321 Plate, SS 347 Plate etc. 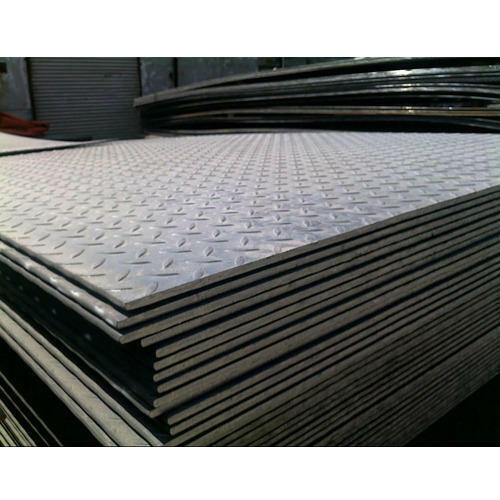 Abrasion Resistant Plates/ AR (Abrasion Resistant) Steel Plates are used to fabricate numerous products such as conveyors, chutes & liners and aggregate containers. 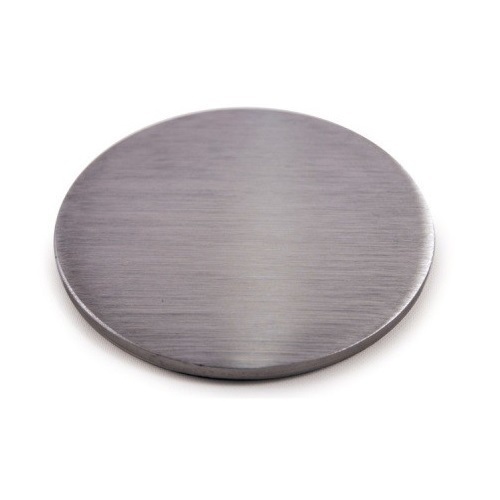 Our strong association with trustworthy vendors enables us to offer these plates according to specifications laid down. We are engaged in offering a remarkable Boiler Plates for our valued clients. Manufactured by making use of high-grade basic material, these offered plates are in conformance with the prevailing quality parameters. Along with this, these plates can be availed in different sizes and finishes as per the requirement. 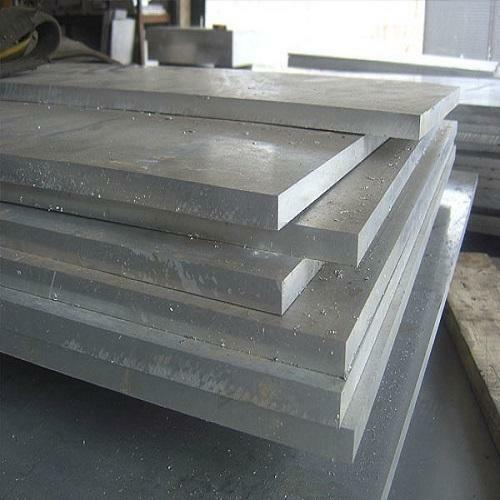 Aesteiron Steels is High Tensile Steel Plate Manufacturers & Suppliers. High Tensile Steel is a combination of steel that gives better mechanical properties or prominent imperviousness to consumption than carbon steel. High Tensile Steel isutilized as a part of those tasks where higher quality durability &great welding capacityis needed. With years of experience of this industry, we present a wide range of Hot Rolled Steel Plate to our valued customers. Due to their sturdy nature, this product is extensively admired in the market. This product is made using the best quality material and advanced techniques. Furthermore, our customers can obtain this product from us in diverse specifications. Hot rolled steel plateare used worldwide in the construction of quays walls and breakwater in harbors, locks and for bank reinforcementon rivers and canals. Other applications include temporary cofferdams in land or in water, permanent bridge abutments, retaining walls for underpasses or underground car parks and impervious containment walls. Aesteiron Steels LLP, is one of the leading manufacturers, suppliers and exporters of Nickel Alloy 20 Plates. Aesteiron Steels LLP is one of the leading manufacturers, suppliers and exporters of Nickel Alloy 825 Plates. 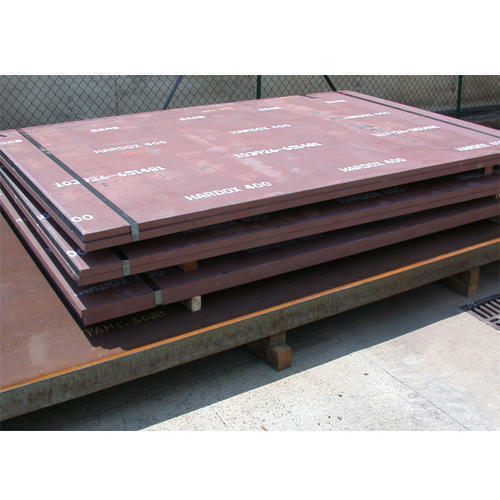 We offers Pressure Vessel Steel Plates carbon steel ASTM A 516 GR. 60 plates that are sourced from leading manufacturers. Our range includes carbon steel plates, which is generally used in welded pressure vessels where improved notch toughness is significant. The plates are impacted tested and are available in four different strength levels to meet the demands of different industry applications. We are manufacturer of Stainless Steel. 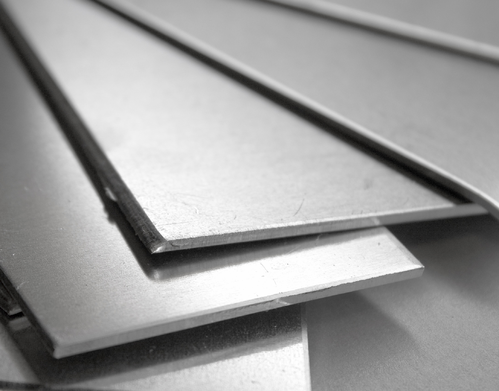 There are various grades and surface finishes of stainless steel to suit the environment the alloy must endure. Stainless steel is used where both the properties of steel and corrosion resistance are required. Stainless Steel 304, Stainless Steel 304L, Stainless Steel 309, Stainless Steel 310, Stainless Steel 316, Stainless Steel 316L, Stainless Steel 316Ti, Stainless Steel 317, Stainless Steel 317L, Stainless Steel 321, Stainless Steel 329, Stainless Steel 347. 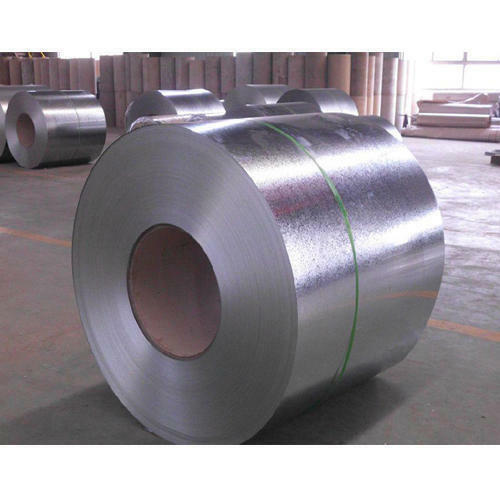 ASTM A240 Gr 201, is an austenitic chromium nickel manganese stainless steel which is developed to conserve nickel. Its applications are cookware, transit car, roofing, siding, truck trailer post, thermal window spacers etc. 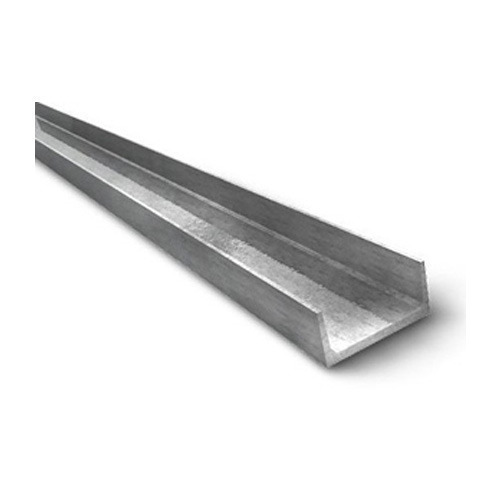 We Aesteiron Steels LLP, are one of the leading trader and supplier of Steel Channels. Copper Alloy Channels :- ASTM / ASME SB 61 UNS NO. C 92200 & ASTM / ASME SB 62 UNS NO. C 83600. ASTM / ASME SB 151 UNS NO. 70600 , 71500 , C 70600 ( CU -NI- 90/10) , C 71500 ( CU -NI- 70/30), ASTM / ASME SB 152 UNS NO C 10100 , C 10200 , C 10300 , C 10800 , C 12000, C 12200. Aesteiron is manufacturer and supplier of Tempered Steel Plate. We design the given product following industrial standards by making use of best quality material with modern technology. 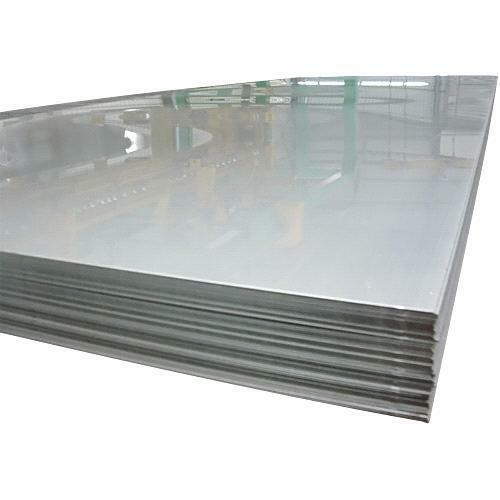 Tempered steel plate, is stronger and harder than ordinary carbon steel. The product is used for the manufacture and repair of machinery and structures where greater abrasion resistance or higher yield strength are required. 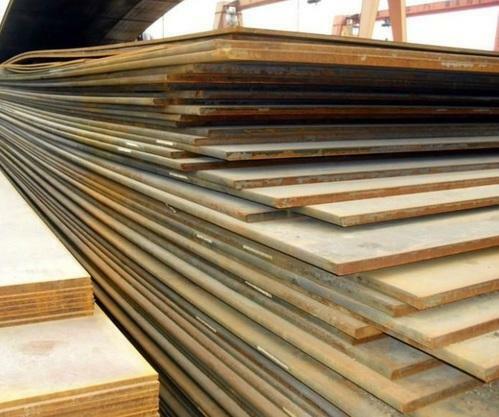 We do extensive supply of Tempered Steel Plate steel plate in a variety of grades that can be used in dump bodies, bucket components, mining and construction equipment, welded bridges and other construction, welded boilers, pressure vessels, hauling and lifting equipment and other structural applications where its strength can be utilized to reduce weight.